For someone like me who works in the Corporate, I need to follow a dress code. My official dress codes are formal wear from Monday to Thursday and business casuals on Fridays. 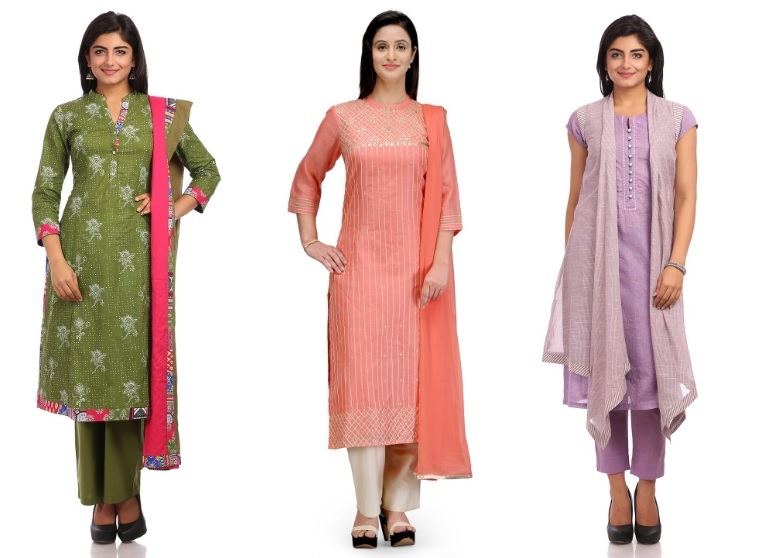 In India, kurtas and salwar kameez are also considered formal wear. I love wearing suits and western outfits to work but with the weather and constant travel involved, I have always found that kurtas are more comfortable option for office wear. I do have many kurtas in my wardrobe and from my personal experience, I love how comfy and yet stylish kurtas are. Today, I have partnered with House of Biba to pen down how we can style kurtas to work. 1. Kurti & Leggings : This is the simplest way to style the kurti is to pair them with leggings and statement accessories. My usual preference is to style straight cut khadi kurta or straight cut simple cotton kurta in muted colors with plain white leggings or again muted colors. This is mainly because straight cut looks professional and the muted colors make it comfortable for summer wear. Moreover, when you go for meetings, it looks classy if you style it with few statement accessories and structured bag. 2. 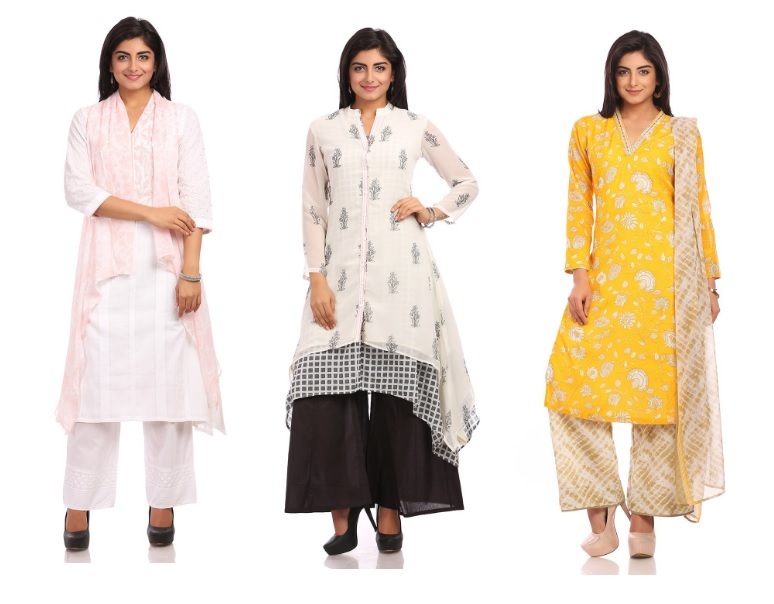 Kurta & Palazzo : This is again a very simple way of styling the kurti, pair them with palazzo pants. They are fresh, summery and extremely comfortable. Whenever, I am styling my kurti with palazzo, I tend to experiment a bit. My first go to option is to style them with less flared palazzo pant with muted kurti and a scarf. If I am in a mood for bit of drama, then I styled layered or asymmetric kurtas with high flared palazzo pants. I cannot begin to comment how stylish and trendy these are to office. Since I am going for a bit of drama, I once again stick to muted colors and patterns. Another great way to style is to mix patterns, I usually wear these if there are any occasions at office. When I am mixing prints, I do not look for loud prints and stick to medium flared palazzo pants. I sometimes add dupatta to the outfit. This gives it a very polished and professional finish to the look. 3. Kurti & straight pants : This is my current favourite obsession! Though straight pants usually goes well with formals, I am really surprised how kurta and straight pants make a great combo to work. Let me be honest, I got this idea to style via Biba website itself and I landed up picking one of their straight sets. Then, I started picking up kurtas and styling them with straight pants. My go to styling options is to stick to monochrome colors when I am pairing kurta and straight pants. This makes the outfit look simple and more subtle for office wear. Again, if there is any occasion at work, then I add in a bit of color with dupatta. I really hoped you liked the few styling ideas shared by me. What is your take on styling kurtas to work? If you are looking for some comfortable and trendy kurtas to add to your wardrobe, then I suggest you to check out Biba. 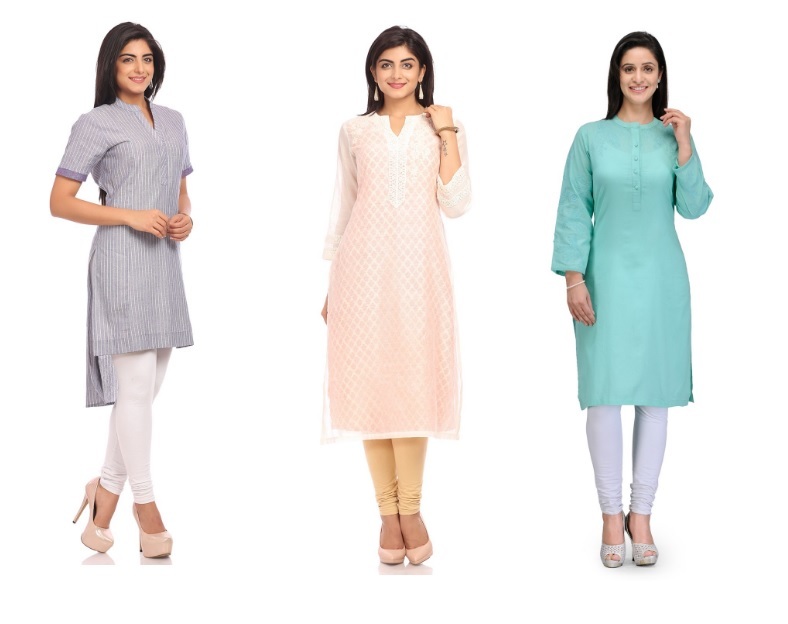 They have some great kurta for women.